back in January 2016, i shared how a learning environment designed by a member of my team - Derek Chua - was used in a first-year undergraduate course on analog circuit design in the School of Electrical and Electronic Engineering (EEE) of the Nanyang Technological University (NTU). 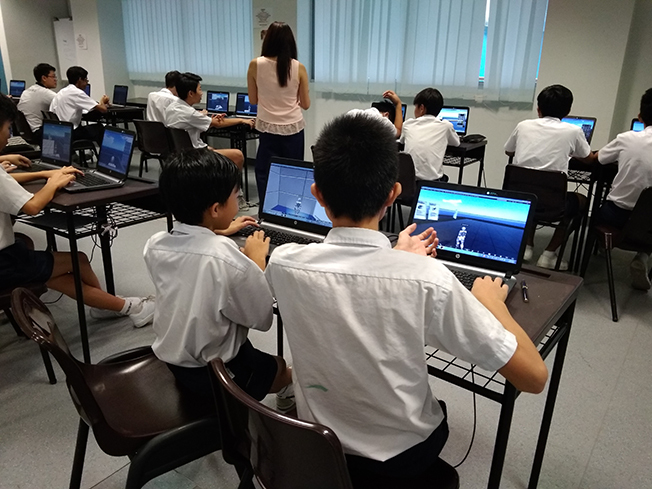 Chart-a-Path was designed from the get-go to be a flexible and open platform for surfacing learner intuition, and its flexibility was demonstrated over the past couple of days as it has been used with Grade Eight students in a local school in Singapore. we are particularly pleased with this extension of use, because it shows how inherently scalable and translatable enabling infrastructures (such as Chart-a-Path) designed from the perspective of Disciplinary Intuitions and the Six Learnings are.